Carolyn J. Sislow (nee Skorupa) of Lorain passed away Saturday August 4, 2018 at Mercy New Life Hospice Center of St. Joseph; she was 79. Born in Elyria on January 1, 1939, Carolyn had been a resident of Lorain since her adolescence. She was a 1956-B graduate of Lorain High School. Mrs. Sislow had been formerly employed by Lorain Steel Stamping; she fulfilled a variety of duties for the manufacturer including administrative work, bookkeeping, and switchboard communication. 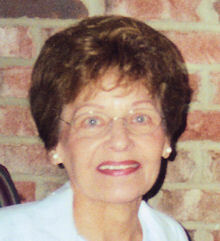 Devoted to and cherished by her family, Carolyn was a long-time parishioner of Nativity BVM Catholic Church in Lorain. She was an accomplished cook and baker and was well known for her breaded pork chops, crepe roll-ups and, most especially, her legendary cherry squares. She was also an avid photographer who graciously took on the responsibility of chronicling family memories and significant events through her skill with both film and digital cameras. She is survived by her husband of fifty-nine years Robert, and sons Tom and John (Mary Jean) both of Lorain. She also leaves granddaughters Amanda and Olivia, as well as sisters Joann Szalkiewicz of Amherst and Rita Deliman (Dr. Joseph) of Lorain. Carolyn was preceded in death by her parents Martin and Harriet (nee Traczek) Skorupa. Either Nativity BVM Parish for Mass intentions or to St. Jude Children’s Research Hospital – 262 Danny Thomas Place, Memphis, TN 38105.